Free-market anarchism or market anarchism includes several branches of anarchism that advocates an economic system based on voluntary market interactions without the involvement of the state. A branch of market anarchism is left-wing market anarchism such as mutualists or Gary Chartier and Kevin Carson, who consider themselves anti-capitalists and self identify as part of the socialist movement. Forms of geolibertarianism also fit into this group, but these Georgists are less likely to accept terms such as "anti-capitalist" or "socialist". On the other hand, there exists anarcho-capitalism which stresses the legitimacy and priority of private property, describing it as an integral component of individual rights and a free market economy. There is a strong current within anarchism which does not consider that anarcho-capitalism can be considered a part of the anarchist movement because anarchism has historically been an anti-capitalist movement and for definitional reasons which see anarchism incompatible with capitalist forms. The term may be used to refer to diverse economic and political concepts, such as those proposed by anarchist libertarian socialists like Pierre-Joseph Proudhon and Benjamin Tucker or alternatively anarcho-capitalists like Murray Rothbard and David D. Friedman. Mutualism began in 18th-century English and French labour movements before taking an anarchist form associated with Pierre-Joseph Proudhon in France and others in the United States. Proudhon proposed spontaneous order, whereby organisation emerges without central authority, a "positive anarchy" where order arises when everybody does "what he wishes and only what he wishes" and where "business transactions alone produce the social order." It is important to recognize that Proudhon distinguished between ideal political possibilities and practical governance. 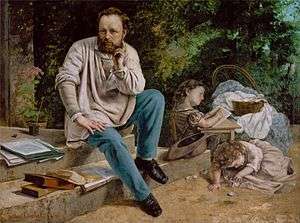 For this reason, much in contrast to some of his theoretical statements concerning ultimate spontaneous self-governance, Proudhon was heavily involved in French parliamentary politics and allied himself not with Anarchist but Socialist factions of workers movements and, in addition to advocating state-protected charters for worker-owned cooperatives, promoted certain nationalization schemes during his life of public service. Aside from their agreement that security should be privately provided by market-based entities, proponents of free-market anarchism differ in other details and aspects of their philosophies, particularly justification, tactics and property rights. Murray Rothbard and other natural rights theorists cite the non-aggression axiom as the basis for their libertarian systems, while other free-market anarchists such as David D. Friedman favor free market anarchism based on consequentialist ethical theories. voluntarists, paleolibertarians, and Agorists, are propertarian market anarchists who consider private property rights to be individual natural rights deriving from the primary right of self-ownership. Market anarchists state diverse views concerning the path to elimination of the state. Rothbard endorses the use of any tactic to bring about market anarchy so long as it does not contradict his libertarian moral principles. Agorists – followers of the philosophy of Samuel Edward Konkin III – propose to eliminate the state by practicing tax resistance and by the use of illegal black market strategies called counter-economics until the security functions of the state can be replaced by free market competitors. 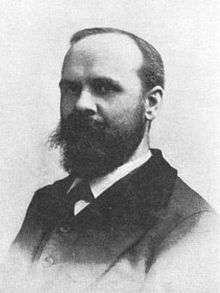 Benjamin Tucker abandoned the natural rights conception of property rights in free-market anarchism for a Stirnerite egoism. Benjamin Tucker originally subscribed to the idea of land ownership associated with Mutualism, which does not grant that this creates property in land, but holds that when people customarily use given land (and in some versions goods), other people should respect that use or possession. But, when that use stops, ownership is no longer recognized, unlike with property. The mutualist theory holds that the stopping of use or occupying land reverts it to the commons or to an unowned condition, and makes it available for anyone that wishes to use it. Therefore, there would be no market in land that is not in use. However, Tucker later abandoned natural rights theory and said that land ownership is legitimately transferred through force unless specified otherwise by contracts: "Man's only right to land is his might over it. If his neighbor is mightier than he and takes the land from him, then the land is his neighbor's, until the latter is dispossessed by one mightier still." He expected, however, that individuals would come to the realization that the "occupancy and use" was a "generally trustworthy guiding principle of action," and that individuals would likely contract to an occupancy and use policy. 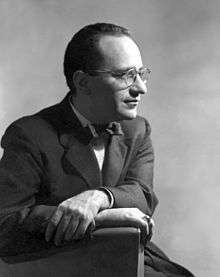 Murray Rothbard (1926–95) asserted that "capitalism is the fullest expression of anarchism, and anarchism is the fullest expression of capitalism." Classical liberal John Locke argues that, as people apply their labor to unowned resources, they make those resources their property. For Locke, there are only two legitimate ways people can acquire new property: by mixing their labor with unowned resources or by voluntary trade for created goods. In accordance with Locke's philosophy, Rothbardian free-market anarchists believe that property may only originate by being the product of labor and that its ownership may only legitimately change as a result of exchange or gift. They derive this homestead principle from what they call the principle of self-ownership. However, Locke had a "Proviso" which says that the appropriator of resources must leave "enough and as good in common...to others." Rothbard's "market anarchist" followers do not agree with this Proviso, believing instead that the individual may originally appropriate as much as she wishes through the application of her labor, and that property thus acquired remains hers until she chooses otherwise. They term this as "neo-Lockean". Libertarians see this as consistent with their opposition to initiatory coercion, since only land which is not already owned can be taken without compensation. If something is unowned, there is no person against whom the original appropriator is initiating coercion. They do not think that a claim of and by itself can create ownership, but rather that the application of one's labor to the unowned object, as for example beginning to farm unowned land. Anarcho-capitalists accept voluntary forms of common ownership, which means property open to all individuals to access. Samuel Edward Konkin III, the founder of agorism, was also a Rothbardian. Pierre-Joseph Proudhon, the first self-identified anarchist, supported a left-wing market anarchism called mutualism. Another contemporary school of left-libertarianism is associated with scholars such as Kevin Carson, Roderick T. Long, Charles Johnson, Samuel Edward Konkin III, Sheldon Richman, Chris Matthew Sciabarra, and Gary Chartier, who stress the value of radically free markets, termed freed markets to distinguish them from the common conception which these libertarians believe to be riddled with statist and capitalist privileges. Referred to as left-wing market anarchists or market-oriented left-libertarians, proponents of this approach strongly affirm the classical liberal ideas of self-ownership and free markets, while maintaining that, taken to their logical conclusions, these ideas support strongly anti-corporatist, anti-hierarchical, pro-labor positions in economics; anti-imperialism in foreign policy; and thoroughly liberal or radical views regarding such cultural issues as gender, sexuality, and race. [note 1] This strand of left-libertarianism tends to be rooted either in the mutualist economics conceptualized by Pierre-Joseph Proudhon, American individualist anarchism, or in a left-wing interpretation or extension of the thought of Murray Rothbard. Left-libertarians favor worker solidarity vis-à-vis bosses, support poor people's squatting on government or abandoned property, and prefer that corporate privileges be repealed before the regulatory restrictions on how those privileges may be exercised. They see Walmart as a symbol of corporate favoritism—supported by highway subsidies and eminent domain—view the fictive personhood of the limited-liability corporation with suspicion, and doubt that Third World sweatshops would be the "best alternative" in the absence of government manipulation. Left-libertarians tend to eschew electoral politics, having little confidence in strategies that work through the government. They prefer to develop alternative institutions and methods of working around the state. Gary Chartier has joined Kevin Carson, Charles Johnson, and others (echoing the language of Benjamin Tucker and Thomas Hodgskin) in maintaining that, because of its heritage and its emancipatory goals and potential, radical market anarchism should be seen—by its proponents and by others—as part of the socialist tradition, and that market anarchists can and should call themselves "socialists." Contemporary free-market left-libertarians also show markedly more sympathy than mainstream or paleolibertarians towards various cultural movements which challenge non-governmental relations of power. For instance, left-libertarians Roderick Long and Charles Johnson have called for a recovery of the nineteenth-century alliance with radical liberalism and feminism. While adopting familiar libertarian views, including opposition to drug prohibition, gun control, civil liberties violations, and war, left-libertarians are more likely than most self-identified libertarians to take more distinctively leftist stances on issues as diverse as feminism, gender and sexuality, class, immigration, and environmentalism. Especially influential regarding these topics have been scholars including Chris Matthew Sciabarra, Roderick T. Long, Charles W. Johnson, and Arthur Silber. The genealogy of contemporary market-oriented left-libertarianism—sometimes labeled "left-wing market anarchism"[note 2]—overlaps to a significant degree with that of Steiner–Vallentyne left-libertarianism as the roots of that tradition are sketched in The Origins of Left-Libertarianism. Carson–Long-style left-libertarianism is rooted in nineteenth-century mutualism and in the work of figures such as Thomas Hodgskin and the individualist anarchists Benjamin Tucker and Lysander Spooner. While, with notable exceptions, market-oriented libertarians after Tucker tended to ally with the political right, relationships between such libertarians and the New Left thrived in the 1960s, laying the groundwork for modern left-wing market anarchism. American individualist anarchist Benjamin Tucker identified as a socialist, and argued that the elimination of what he called the "four monopolies"—the land monopoly, the money and banking monopoly, the monopoly powers conferred by patents, and the quasi-monopolistic effects of tariffs—would undermine the power of the wealthy and big business, making possible widespread property ownership and higher incomes for ordinary people, while minimizing the power of would-be bosses and achieving socialist goals without state action. Tucker influenced and interacted with anarchist contemporaries—including Spooner, Voltairine de Cleyre, Dyer D. Lum, and William B. Greene—who have in various ways influenced later left-libertarian thinking. The doyen of modern American market-oriented libertarianism, Austrian School economist Murray Rothbard, was initially an enthusiastic partisan of the Old Right, particularly because of its general opposition to war and imperialism. But Rothbard had long embraced a reading of American history that emphasized the role of elite privilege in shaping legal and political institutions—one that was thus naturally agreeable to many on the Left—and he came increasingly in the 1960s to seek alliances on the Left—especially with members of the "New Left"—in light of the Vietnam War, the military draft, and the emergence of the black power movement. Working with other radicals like Ronald Radosh and Karl Hess, Rothbard argued that the consensus view of American economic history, according to which a beneficent government has used its power to counter corporate predation, is fundamentally flawed. Rather, he argued, government intervention in the economy has largely benefited established players at the expense of marginalized groups, to the detriment of both liberty and equality. Moreover, the "Robber Baron" period, hailed by the right and despised by the left as a heyday of laissez-faire, was not characterized by laissez-faire at all, but was in fact a time of massive state privilege accorded to capital. In tandem with his emphasis on the intimate connection between state and corporate power, he defended the seizure of corporations dependent on state largesse by workers and others. Rothbard himself ultimately broke with the left, allying himself instead with the burgeoning paleoconservative movement. However, drawing on the work of Rothbard during his alliance with the left and on the thought of Karl Hess, some thinkers associated with market-oriented American libertarianism came increasingly to identify with the Left on a range of issues, including opposition to war, to corporate oligopolies and state-corporate partnerships, and an affinity for cultural liberalism. One variety of this kind of libertarianism has been a resurgent mutualism, incorporating modern economic ideas such as marginal utility theory into mutualist theory. Kevin A. Carson's Studies in Mutualist Political Economy helped to stimulate the growth of new-style mutualism, articulating a version of the labor theory of value incorporating ideas drawn from Austrian economics. Other market-oriented left-libertarians have declined to embrace mutualist views of real property, while sharing the mutualist opposition to corporate hierarchies and wealth concentration. Left-libertarians have placed particular emphasis on the articulation and defense of a libertarian theory of class and class conflict, though considerable work in this area has been performed by libertarians of other persuasions. He has joined Kevin Carson, Charles Johnson, and others (echoing the language of Benjamin Tucker and Thomas Hodgskin) in maintaining that, because of its heritage and its emancipatory goals and potential, radical market anarchism should be seen—by its proponents and by others—as part of the socialist tradition, and that market anarchists can and should call themselves "socialists." A well-known critique of free-market anarchism is by Robert Nozick, who argued that a competitive legal system would evolve toward a monopoly government – even without violating individuals rights in the process. John Jefferson, a free-market anarchist, advocates Robert Nozick's argument and states that such events would best operate in laissez faire. Many free-market anarchists, including Roy A. Childs and Murray N. Rothbard, have rejected Nozick's arguments. ↑ Gerald F. Gaus, Chandran Kukathas. 2004. Handbook of Political Theory. Sage Publications. pp. 118–119. Source refers to David D. Friedman's philosophy as "market anarchism." ↑ Danley, John R. (November 1991). "Polestar refined: Business ethics and political economy". Journal of Business Ethics. Springer Netherlands. 10 (12): 915–933. 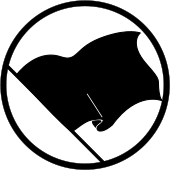 doi:10.1007/BF00383797. ↑ Carson, Kevin, Studies in Mutualist Political Economy, chapter 5. Long, Roderick, "Land-Locked: A Critique of Carson on Property Rights," in the Journal of Libertarian Studies, vol. 20, no. 1. ↑ "Exclusive Interview With Murray Rothbard" The New Banner: A Fortnightly Libertarian Journal. 25 February 1972. 1 2 Long, Roderick T. (2006). "Land-locked: A Critique of Carson on Property Rights" (PDF). Journal of Libertarian Studies. 20 (1): 87–95. 1 2 3 Bylund, Per. "Man and Matter: A Philosophical Inquiry into the Justification of Ownership in Land from the Basis of Self-Ownership" (PDF). ↑ Verhaegh, Marcus (2006). "Rothbard as a Political Philosopher" (PDF). Journal of Libertarian Studies. 20 (4): 3. ↑ Holcombe, Randall G. (2005). "Common Property in Anarcho-Capitalism" (PDF). Journal of Libertarian Studies. 19 (2): 3–29. ↑ Carson, Kevin A. (2008). Organization Theory: A Libertarian Perspective. Charleston, SC:BookSurge. ↑ Carson, Kevin A. (2010). The Homebrew Industrial Revolution: A Low-Overhead Manifesto. Charleston, SC:BookSurge. ↑ Long, Roderick T. (2008). "An Interview With Roderick Long"
↑ Johnson, Charles W. (2008). "Liberty, Equality, Solidarity: Toward a Dialectical Anarchism." Anarchism/Minarchism: Is a Government Part of a Free Country? In Long, Roderick T. and Machan, Tibor Aldershot:Ashgate pp. 155-88. ↑ Konkin III, Samuel Edward. The New Libertarian Manifesto. ↑ Richman, Sheldon (23 June 2010). "Why Left-Libertarian?" The Freeman. Foundation for Economic Education. ↑ Richman, Sheldon (18 December 2009). "Workers of the World Unite for a Free Market." Foundation for Economic Education. 1 2 3 Sheldon Richman (3 February 2011). "Libertarian Left: Free-market anti-capitalism, the unknown ideal." The American Conservative. Retrieved 5 March 2012. ↑ Sciabarra, Chris Matthew (2000). Total Freedom: Toward a Dialectical Libertarianism. University Park, PA:Pennsylvania State University Press. ↑ Chartier, Gary (2009). Economic Justice and Natural Law. Cambridge:Cambridge University Press. ↑ Gillis, William (2011). "The Freed Market." In Chartier, Gary and Johnson, Charles. Markets Not Capitalism. Brooklyn, NY:Minor Compositions/Autonomedia. pp. 19–20. ↑ Chartier, Gary; Johnson, Charles W. (2011). Markets Not Capitalism. Brooklyn, NY:Minor Compositions/Autonomedia. pp. 1–16. ↑ Chartier, Gary (2009). Socialist Ends, Market Means: Five Essays. Tulsa, OK:Tulsa Alliance of the Libertarian Left. 1 2 See Gary Chartier, "Advocates of Freed Markets Should Oppose Capitalism," "Free-Market Anti-Capitalism?" session, annual conference, Association of Private Enterprise Education (Cæsar's Palace, Las Vegas, NV, April 13, 2010); Gary Chartier, "Advocates of Freed Markets Should Embrace 'Anti-Capitalism'"; Gary Chartier, Socialist Ends, Market Means: Five Essays. Cp. Tucker, "Socialism." ↑ Long, Roderick T.; Johnson, Charles W. (1 May 2005). "Libertarian Feminism: Can this Marriage Be Saved?" Molinari Society. ↑ Long, Roderick T. (2006). "Rothbard's 'Left and Right': Forty Years Later." Rothbard Memorial Lecture, Austrian Scholars Conference. ↑ On the nineteenth-century American individualist anarchists, see James J. Martin, Men against the State: The Expositors of Individualist Anarchism in America (Colorado Springs, CO: Myles 1970). ↑ See Justin Raimondo, An Enemy of the State: The Life of Murray N. Rothbard (Amherst, NY: Prometheus 2001). ↑ See Brian M. Doherty, Radicals for Capitalism: A Freewheeling History of the Modern American Libertarian Movement (New York: Public Affairs 2007) 338. ↑ See Murray N. Rothbard and Ronald Radosh, eds., A New History of Leviathan: Essays on the Rise of the American Corporate State (New York: Dutton 1972). ↑ Cp. Karl Hess, Dear America (New York: Morrow 1975). ↑ On partnerships between the state and big business and the role of big business in promoting regulation, see Gabriel Kolko, The Triumph of Conservatism: A Reinterpretation of American History, 1900–1916 (New York: Free 1977); Butler Shaffer, In Restraint of Trade: The Business Campaign against Competition, 1918–1938 (Auburn, AL: Mises 2008). ↑ Rothbard, Murray N. (15 June 1969). “Confiscation and the Homestead Principle." Libertarian Forum. 1:6. pp. 3–4. ↑ See Raimondo 277-8; Doherty 562-5. ↑ See Kevin A. Carson, Studies in Mutualist Political Economy (Charleston, SC: BookSurge 2007). This book was the focus of a symposium in the Journal of Libertarian Studies. ↑ See, e.g., Roderick T. Long, “Land Locked: A Critique of Carson on Property Rights,” Journal of Libertarian Studies 20.1 (Winter 2006): 87–95. ↑ Sheldon Richman, “Class Struggle Rightly Conceived,” The Goal Is Freedom (Foundation for Economic Education, July 13, 2007); Nock, Our Enemy, the State; Franz Oppenheimer, The State (San Francisco: Fox 1997); Tom G. Palmer, "Classical Liberalism, Marxism, and the Conflict of Classes: The Classical Liberal Theory of Class Conflict," Realizing Freedom: Libertarian Theory, History, and Practice (Washington: Cato 2009) 255-76; Wally Conger, Agorist Class Theory: A Left Libertarian Approach to Class Conflict Analysis (Agorism.info, n.d.); Kevin A. Carson, “Another Free-for-All: Libertarian Class Analysis, Organized Labor, Etc.,” Mutualist Blog: Free-Market Anti-Capitalism (n.p., Jan. 26, 2006); Walter E. Grinder and John Hagel, “Toward a Theory of State Capitalism: Ultimate Decision Making and Class Structure,” Journal of Libertarian Studies 1.1 (1977): 59–79; David M. Hart, “The Radical Liberalism of Charles Comte and Charles Dunoyer” (PhD diss., U of Cambridge, 1994); Hans-Hermann Hoppe, “Marxist and Austrian Class Analysis,” Journal of Libertarian Studies 9.2 (1990): 79–93; Roderick T. Long, “Toward a Libertarian Theory of Class,” Social Philosophy and Policy 15.2 (Sum. 1998): 303–49. ↑ See Childs's incomplete essay, "Anarchist Illusions," Liberty against Power: Essays by Roy A. Childs, Jr., ed. Joan Kennedy Taylor (San Francisco: Fox 1994) 179-83. ↑ Chris Sciabarra is the only scholar associated with this school of left-libertarianism who is skeptical about anarchism; see Sciabarra's Total Freedom.